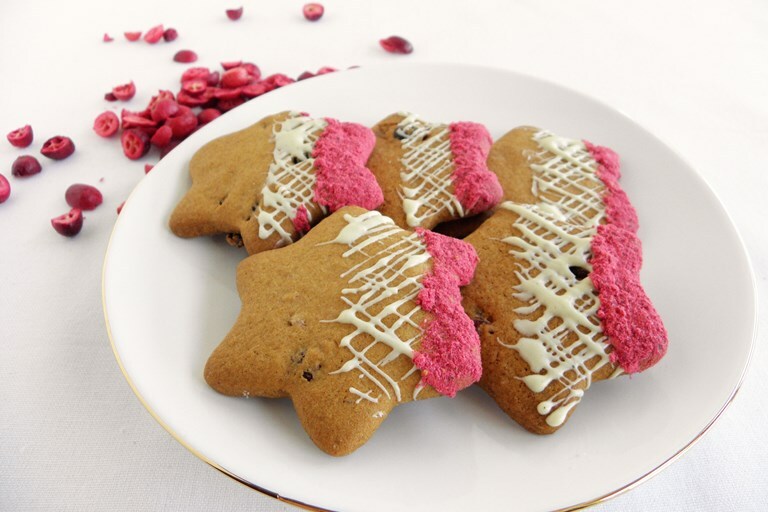 This fantastic gluten-free biscuit recipe from Howard Middleton makes gorgeous flavour-packed snacks for any time of year, full of cranberries and finished off with white chocolate and colourful freeze-dried cranberry powder. 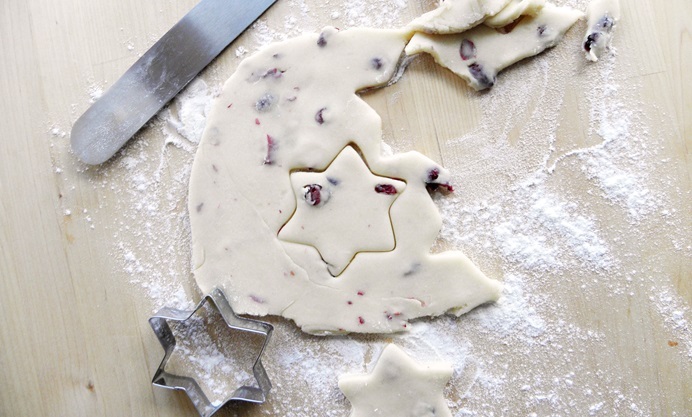 Tangy cranberries and sweet, creamy white chocolate are the stars of these gluten-free biscuits, and potato flour gives them extra crunch. 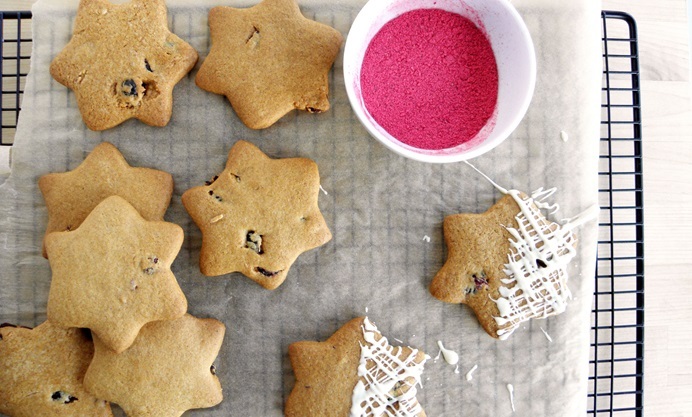 Chewy dried cranberries are available in most supermarkets and health food shops but it’s worth an online forage for the freeze-dried variety and the fabulously florid cranberry powder. This fuchsia dust looks like primary school powder paint – it’s guaranteed to bring out the big kid as you play around with a little artful dunking. For added flavour, I like experimenting with a few drops from the growing range of pure extracts, but feel free to play safe if your taste is more vanilla. Of course, you can make these biscuits in any shape you choose, but you’ll then have to think of something else to call them.